Looking to tether the WiFi Pineapple to a personal hot-spot or nearby access point? 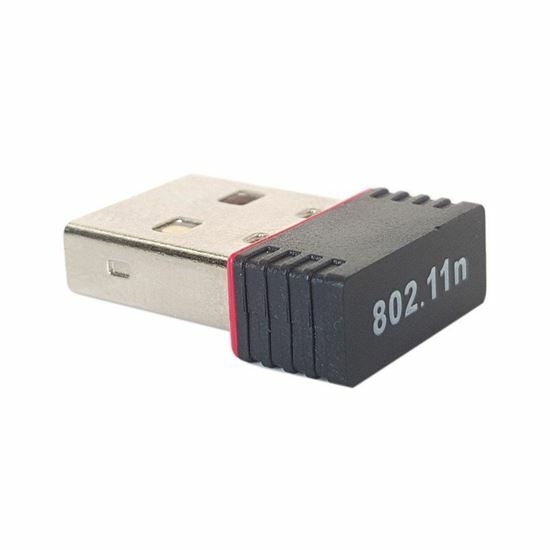 This incredibly small USB WiFi adapter adds a third interface to the WiFi Pineapple, enabling client mode without interrupting the PineAP suite. It's a great addition to any auditors arsenal! The Ralink RT5370 chipset works out of the box with 5th generation WiFi Pineapples and higher (Mark V, NANO, TETRA) as well as most Windows, Mac and Linux boxes. Tested with Kali 2.0, this RT5370 supports Managed and Monitor modes. A fitting choice for any WiFi Pineapple NANO Tactical - this RT5370 protrudes just 5 mm from the USB port and sips power at just 25 mA idle and 70 mA under load. With an integrated antenna and 20 dBm txpower, this RT5370 is an ideal choice for medium range applications. For higher range we recommend the ALFA AWUS036NEH.